Whether you bake cakes or just like to eat them, this personalised slate cake stand is ideal for cake lovers! 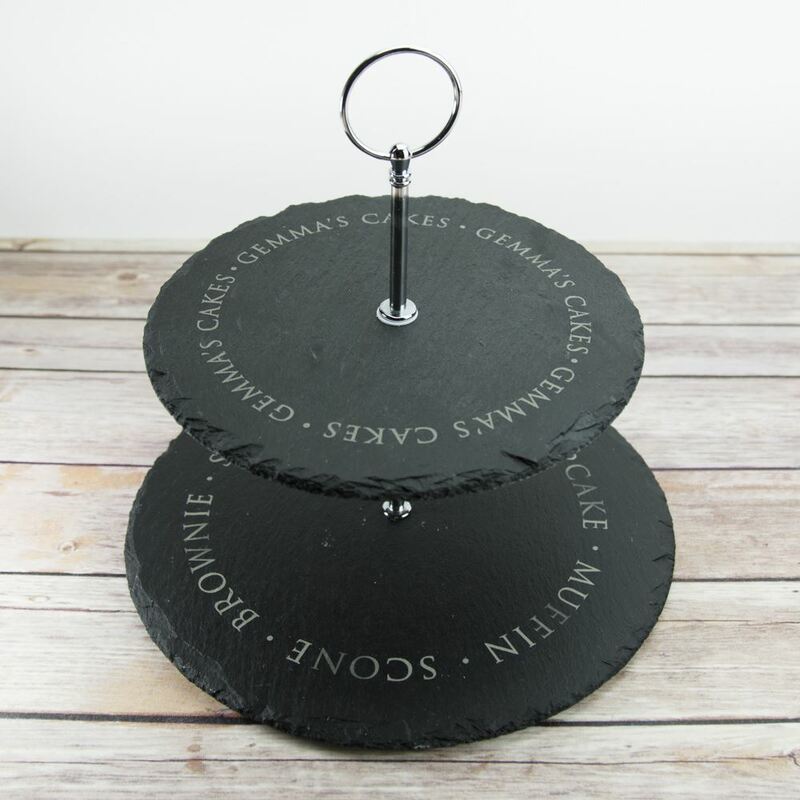 Our two tier cake stand comes with the top tier personalised with your name on the top tier. 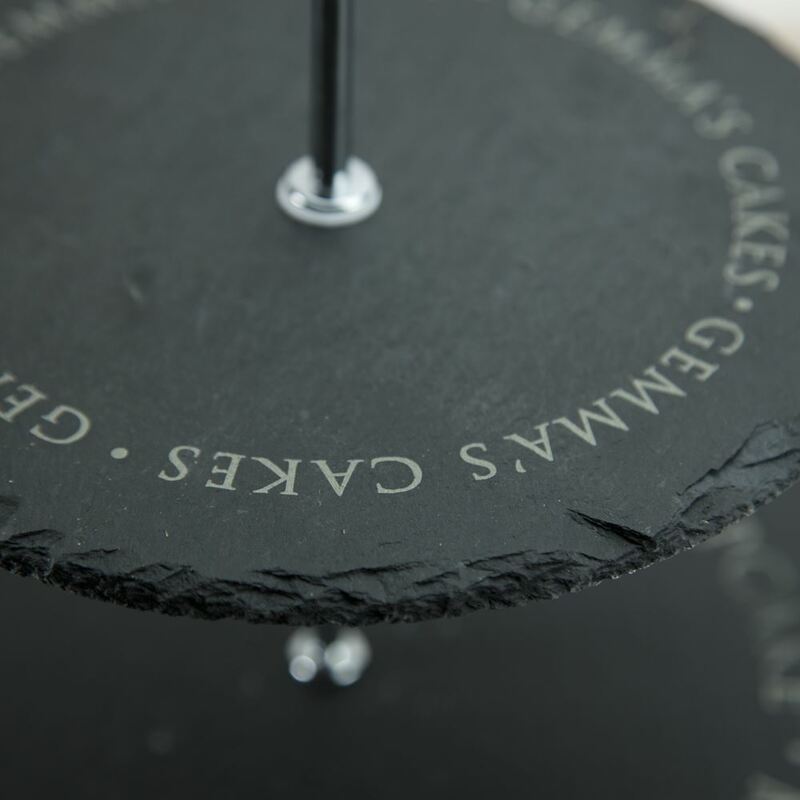 The bottom tier is engraved with the names of some of the best cakes which includes scones, gateux, brownie and more. 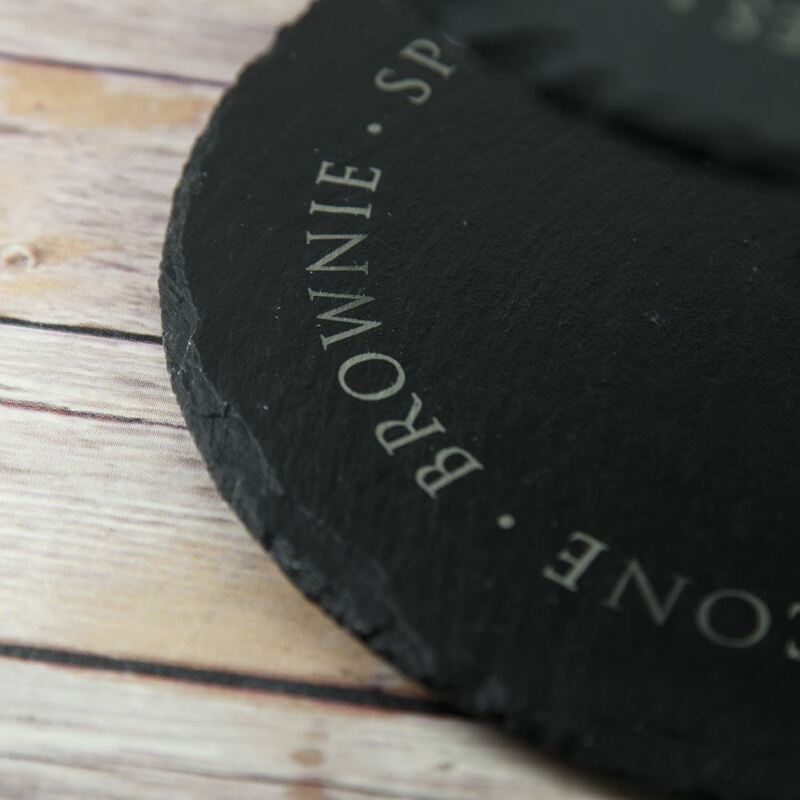 If you would like to fully personalise this slate please contact us to discuss your requirements. The bottom tier is 25cm in diamater and the top is 20cm. It stands 24cm high and comes with padded feet to prevent scratching. It comes with a metal handle. It will require assembly but this is very simple to do and it can be taken apart again to be stored away. Please note this is a natural product so there may be some variations in the slate.